Today I have the chance to write about one of the rising starts of South America. 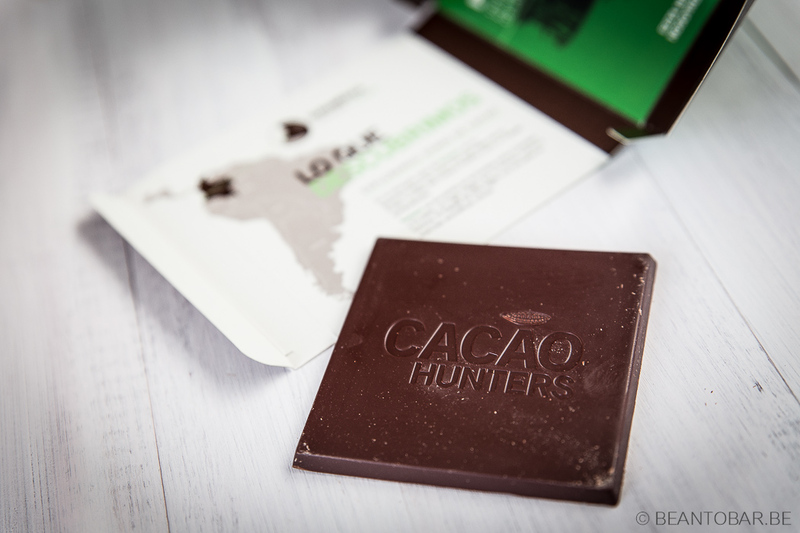 As part of the upcoming wave of high quality, locally producing Latin American chocolate makers – Cacao Hunters create their products with Colombian cocoa in the country itself. Their story is one of the more remarkable ones, as the driving force behind the brand is the Japanese lady Mayumi Ogata. She emigrated to Colombia and is in ever search for special cocoa varieties all over the country. She and her colleagues make every effort to capture the remarkable flavors of the cocoa in the final chocolate bars. I was very happy to receive one of their bars as a birthday gift from my sister, who understands my love for special chocolate. Everything about chocolate is special. For one, the packing. The cardboard box folds open and reveals the inside, packed with information on the origin of the cocoa used. 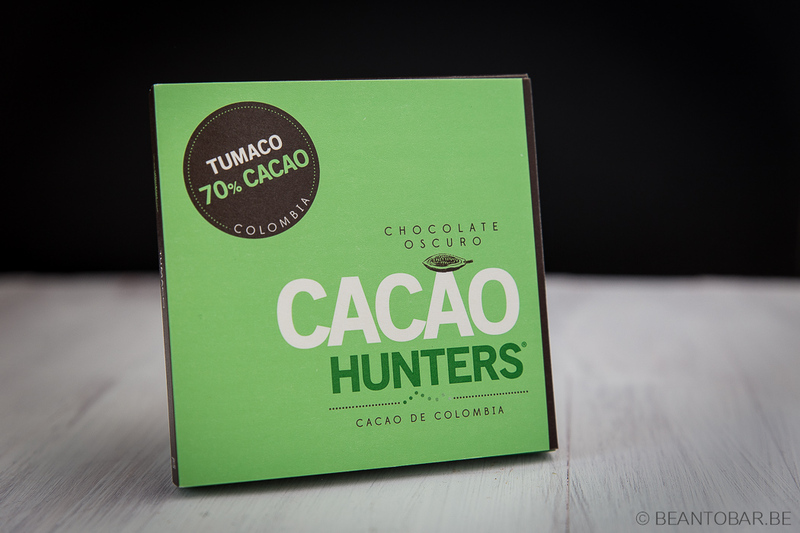 It is in Spanish, but I understand enough to make out the cocoa is grown in Tumaco, a border region between Colombia and Ecuador, hard to reach and close to the Andes mountain chain. It should offer extraordinary flavors. Inside the box, two separate chocolate bars are to be found. Square in shape, they are sealed in an aluminum, airtight sealed foil. What a great idea! While you enjoy the first bar, the second one is still kept away from any influence of the place where it is stored. The bar itself is ever so thin. At 28 grams a piece, they are merely a couple of millimeters thick. 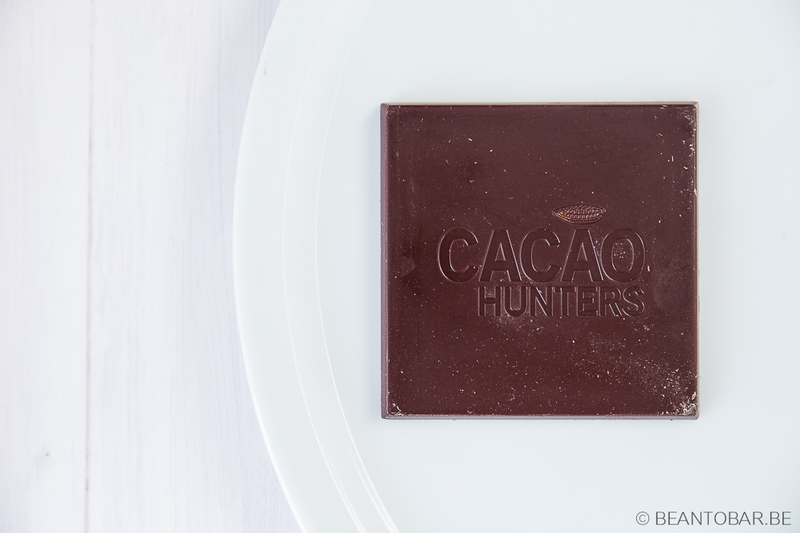 There is no scoring, just a nice piece of chocolate with a perfectly embossed logo of the company. Color: A darker brown, with hints of purple. Aroma: sweet roasted pecan nuts, floral notes, slightly spiced backdrop. Taste: letting this chocolate melt on your tongue, creates a waterfall of flowers and honey in the mouth. Suddenly, a delicate stream of yellow fruits cuts trough the main flavor, followed by waves of more abundant earthy coffee and wood notes that build in momentum. The chocolate finally dissipates with clear roasted nuts and delicate warm spices tiptoeing on the palate. The aftertaste is lingering for a long time, smoky and delicate as a reminiscence of the flavor, while keeping especially the nutty aromas alive combined with more mature, woody tannins. 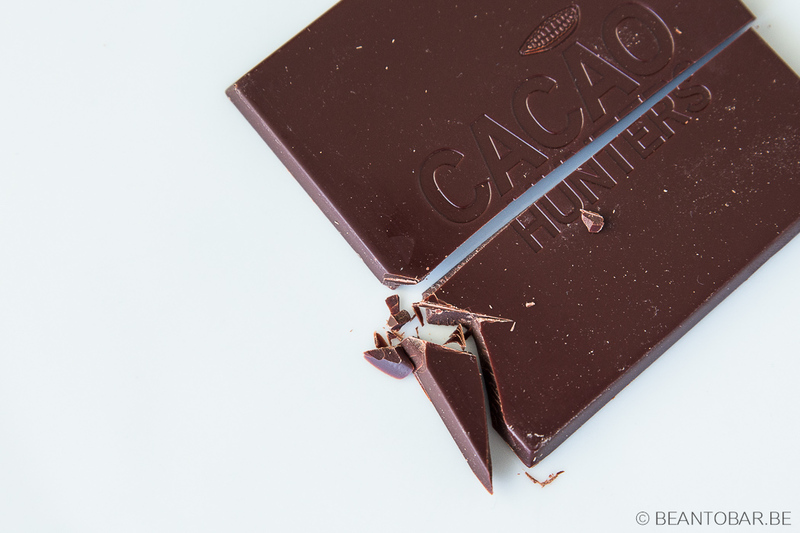 The chocolate is particular light at first glance, but creates enormous depth and complexity when slowly savored. You really need to take time to unlock the subtle, evolving flavors that can be found deep within the thin bar. It truly rewards you for your patience and attention with an exciting flavor adventure. An amazing example of quality chocolate.